The Greater Lovell Land Trust is composed of residents and visitors committed to the conservation, preservation, and protection of the Kezer Lake and adjacent watersheds located in the western Maine towns of Lovell, Stoneham, Stow, and Sweden. PROMOTING AND APPLYING GOOD STEWARDSHIP PRACTICES AS A LEGACY FOR THE FUTURE. We hold and monitor conservation easements and also own and manage land. The impacts of development and changing climate prompt us to protect strategically important parcels with the support of owners. We are innovators and we stay informed of advances to approaches to land conservation. FOSTERING UNDERSTANDING AND APPRECIATION FOR THE NATURAL WORLD THAT SUSTAINS US ALL. 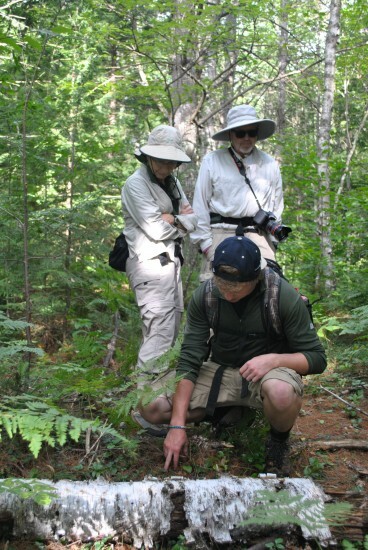 The professionals and volunteers on our team work to educate and inform our board, members, neighbors, and visitors about the resources of the land in the Kezar Lake region. Our programs include tours, walks, nature studies, lectures, and special events for all levels of ability and interest. STRONG PARTNERSHIPS WITH TOWN REPRESENTATIVES, LOCAL, REGIONAL, AND NATIONAL ORGANIZATIONS. Collaboration with our neighbors helps advance our mission. Organizations that share our vision, including the Kezar Lake Watershed Association, the Maine Land Trust Network, and land trusts in the western Maine mountains and Saco River valley are also critical partners. The GLLT works to ensure the success of our mission by reaching out to area residents and visitors and encouraging participation in our work. Development work and education campaigns for endowment and capital resources are key to our future, as is planning for the current and future leadership of the organization. We have a professional Executive Director who brings significant knowledge and skill to all areas of our work and an Education Director who maintains a high standard for our programming. We have a professional staff of several dedicated people. We also have a valuable network of donors and volunteers to contribute both time and money to our most important projects.